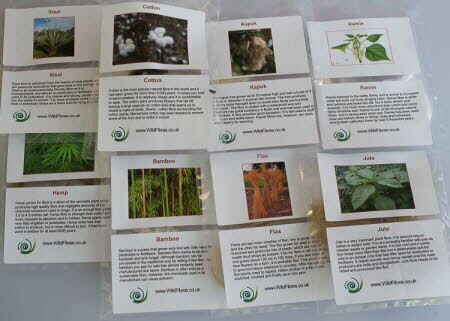 See and feel fibre samples from eight fibre plants: cotton, kapok, flax, hemp, jute, ramie, sisal and bamboo. Each fibre sample is enclosed in a grip seal bag which is large enough for you to touch and feel the fibres. The bag has a picture of the plant and a description of both the plant and its fibre.